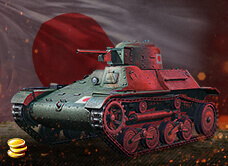 Want to drive something different for a change and impress your friends and enemies while you're at it? 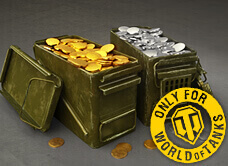 You'll get your chance in the next two weeks! 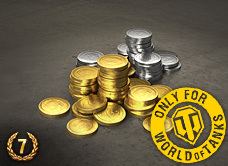 Wargaming is celebrating its 17th Anniversay this August, and we're populating the Premium Shop once again with some rare and precious tanks. Don't forget - these won't be available forever, so grab what you can and ride forwards to victory! 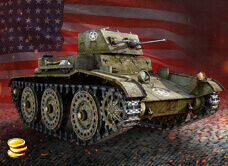 The T7 Combat Car is a USA tier 2 premium light tank. It has good speed and decent maneuverability. It is equipped with an auto-loader gun which enables it to deal high amounts of burst damage. However, it comes with a fairly long reload time. 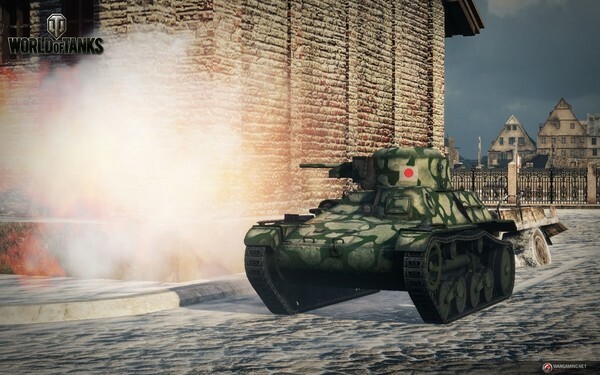 Like most light tanks, the T1E6 has weak armor. This tank has a bad view range, so it does not perform well as a scout. 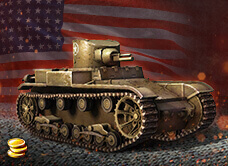 For best results, team up with tanks that have stronger armor so you can utilize the T1E6's firing speed. The Light Mk. 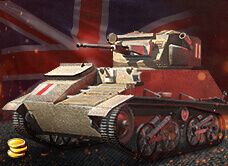 VIC is a fun tier 2 light tank from the British tech tree. It is capable of firing around 100 shots a minute through its 15mm BESA machine gun - which can take down tanks with weak armour. Although it takes time to accelerate, controling the tank's movement is relatively easy, so mobility isn't a problem. 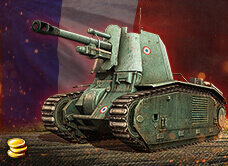 If you're looking for a good scouting tank, this is it! It was provided to the USSR from Britain through the Lend-Lease Act. 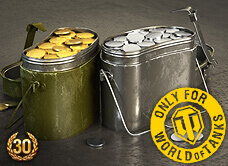 The tank was available as a 2012 New Year’s gift from Wargaming to all players for a limited time with the release of the 0.7.1 patch. 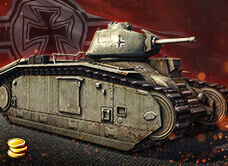 The Tetrarch has also appeared in gift shop bundles on rare occasions. It is well-armed, fast on firm ground and has a powerful radio. This is balanced by very weak armor, poor view range, and sluggish cross country and traverse performance. 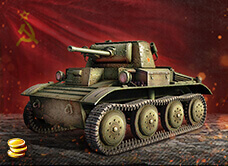 The LTP is a USSR tier 3 premium light tank. It has a decent speed and good maneuverability. 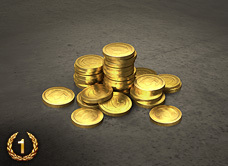 Its gun has a high rate of fire and large pool of ammo. 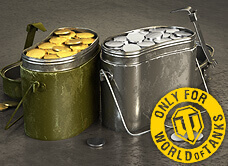 It is best played as a close-range support tank. 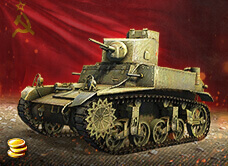 The M3 Light is a Soviet tier 3 premium light tank. 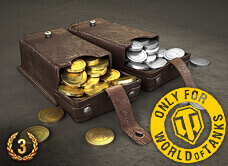 It is currently not available from the in-game store. 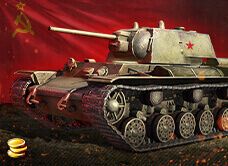 This is a special variant of the famous Т-34-85 tank with enhanced armour. 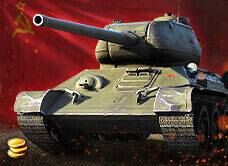 The reinforced front hull armor is well-sloped and provides reliable protection against lower-tier tanks and can even withstand hits from some higher-tier enemies. 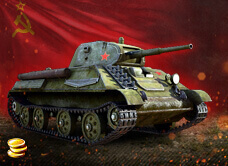 This tank is a good flanker and it can also operate effectively with other medium tanks. 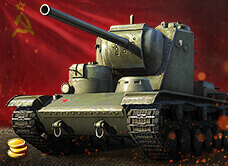 Let Т-34-85М lead your team to victory!